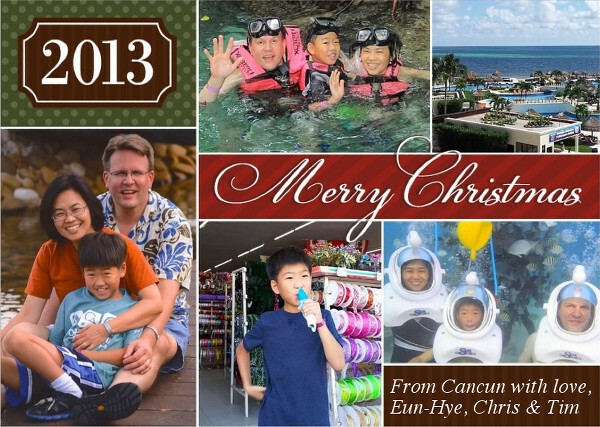 As the year 2013 draws to a close, our family has much for which to be thankful. Tim is in a 3rd grade gifted class at Lincoln Elementary, studying several subjects at the 4th grade level. He is an avid reader, and has read several novels, such as C.S. Lewis’s The Chronicles of Narnia, Rick Riordan’s Percy Jackson and the Olympians, and J.K. Rowling’s Harry Potter. We are thrilled he enjoys reading so much. Tim still loves building custom creations with LEGOs, playing various video games, chess club, and swimming at the YMCA. Church life is also something Tim enjoys. So far, so good. Thank you, Lord. Eun-Hye is in her 16th year of pastoral ministry, her 3rd year as lead pastor of Plainfield United Methodist Church. Chris is in his 5th year of pastoral ministry, his 3rd year as associate pastor of PUMC. In June Chris completed his multi-year ordination process and is now, like Eun-Hye, an ordained elder in the UMC. After the ordination service, the extended Walters family celebrated Chris’s ordination and his parents’ 50th wedding anniversary in Galena, IL. Pastoring together a church of nearly 900 members brings amazing joys and trying challenges. The blessing of living the church life so intensely, as we do, is that we’re intimately involved with the lives of so many people who freely give themselves and their abundance to each other and the sacred social space known as “church.” There are few other such sacred social spaces left in our society in this age of information overload. In November we finally used our last “free” week to visit Cancun (held over from our honeymoon there in 2000!). Many years had gone by since we were there last; we had a great time. As always, the hundreds of staff at the all-inclusive resort were overwhelmingly generous in their service to us and all guests. The employees work unbelievably hard, and we’re grateful that we have an opportunity every once in a while to experience a bountifully joyous vacation because of their hard work. Wishing you peace and joy this Christmas and a Happy New Year!